Dr Ray Noy is a retired Pharmaceutical Industry Executive. He was trained in Biochemistry and Biophysics at Imperial and Leeds Universities. On retirement, he gained a Certificate in Archaeology in 2014 from Oxford University Department for Continuing Education. He contacted Cotswold Archaeology after hearing about our excavations at Thame, and was accepted as a volunteer in 2015, helping in the Publications department at our Milton Keynes office. He is also a volunteer for the Chiltern Conservation Board based in Chinnor, processing GIS data in the Landscape and Conservation group. As a member of the Ingleton Archaeological Group (IAG) in the Yorkshire Dales since 2014, Ray has participated in several excavations led by Dr David Johnson. These include tape-and-offset surveys of Anglo-Saxon settlements on Scales Moor near Chapel-le-Dale, Ribblehead, in 2016; the excavation of an early medieval chapel at Malham in 2017, and a survey of monastic ridge-and-furrow cattle boundaries and the dating of drystone walls according to their structure and form in the hamlet of Thorns in Ribblesdale, also in 2017. Ray enjoys the post-excavation processing and identification of finds and the opportunity to learn something new on each visit. 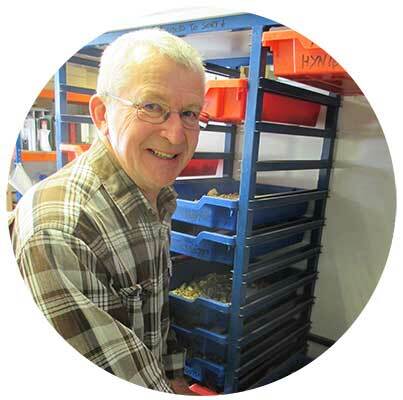 When not volunteering with archaeological projects, Ray enjoys fencing, walking and cycling.